Here comes a time in every man’s life where he thinks, This is it. This is my last chance to get it together and get back in shape again. And the longer I wait, the fatter I’ll get, and the harder it’ll be. Is that you? The good news is in this episode, renowned trainer Bobby Maximus will reveal the best strategies to shred your body, build serious strength, and make you unstoppable fit. If you’re the worst kind of procrastinator this episode could help. In this episode, I'll explain why we decide to start saving more money, exercise more regularly and watch our diet—but fail to follow through time after time. Also, I'll reveal a powerful strategy to beat procrastination for once and all. Listen to this episode to learn how to fight your tendency to procrastinate and get ready to live a healthier, happier and more successful life. Most people want to live a long, healthy life. If that's something you aspire to, you should listen to this episode. 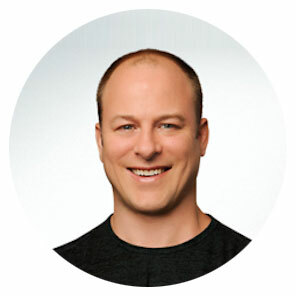 Our special guest, Dr. Joel Seedman shares his knowledge on movement pattern, exercise, strength and muscle growth, supplementation, and diet to help you combat inflammation and live longer. Listen Now! On today’s episode, we’ll be discussing your health with Dr. Spencer Nadolsky. Dr. Nadolsky will also answer some questions from our listeners about blood work that will really help you understand the principles as well as the risk factors when it comes to heart disease, diabetes and systemic inflammation. Also, he will share 7 ways to boost your metabolism and much more. Listen Now!